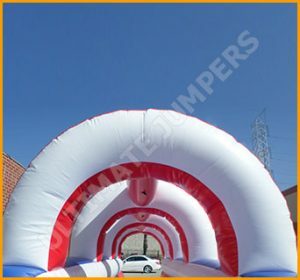 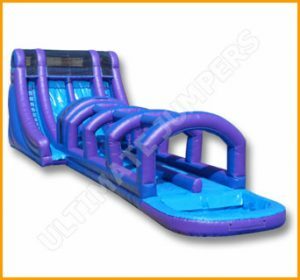 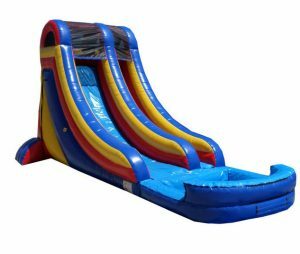 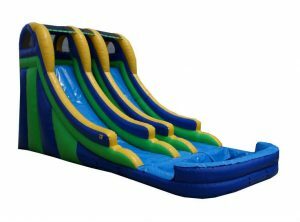 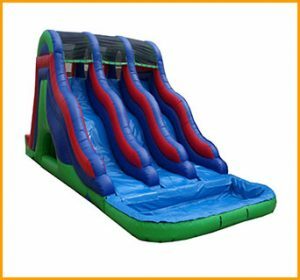 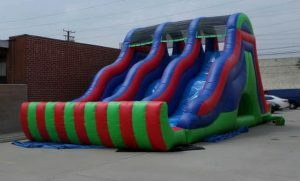 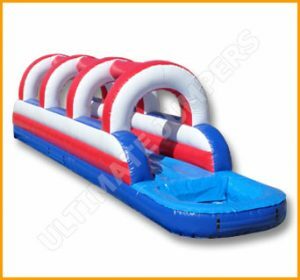 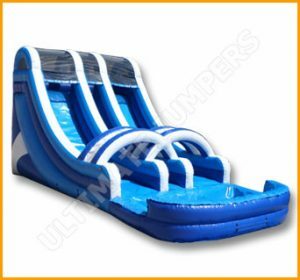 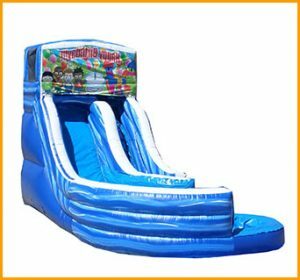 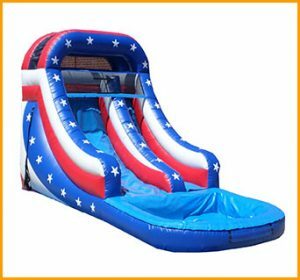 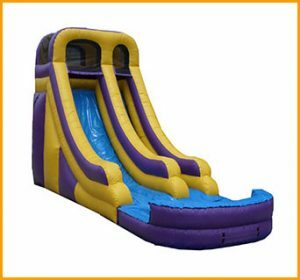 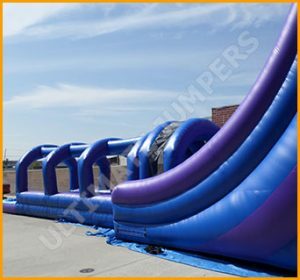 This bright 20′ inflatable double lane tropical water slide will give you the feeling of being at a tropical land surrounded by nothing but clear water. 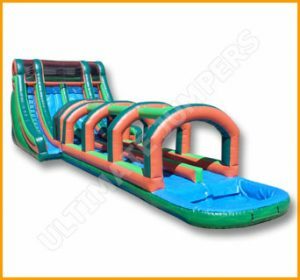 This incredible 20′ inflatable double lane tropical water slide will give you the feeling of being at a tropical island surrounded by nothing but clear water, fresh air, and serenity. 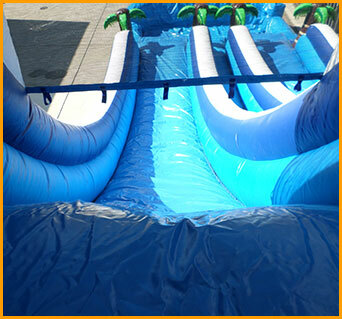 The only thing you’ll hear will be the giggles and laughter of the children playing on this water slide. 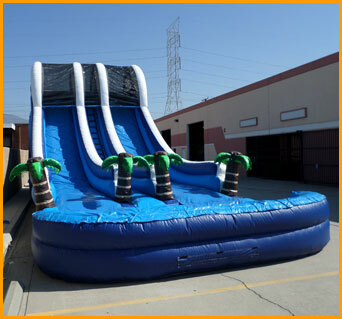 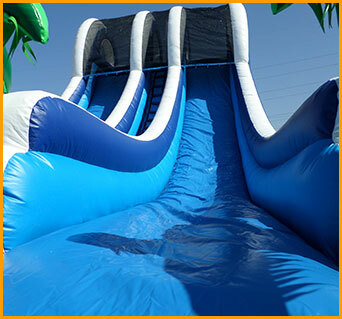 This tropical water slide can be set up for any type of event as long as fun is involved. 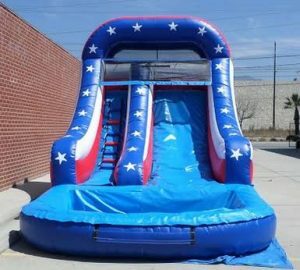 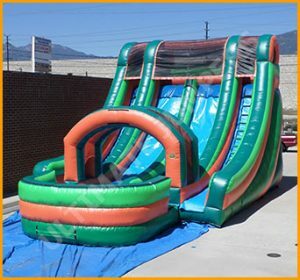 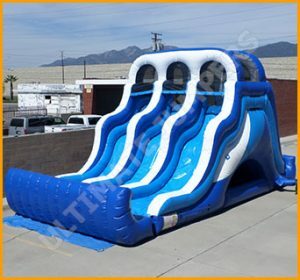 The two slides provide extra fun for friends who want to slide down and splash in the pool below together. 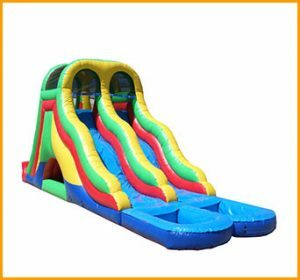 Accidents can happen during playtime, so it’s important to purchase inflatables from a reliable manufacturer that has followed safety guidelines. 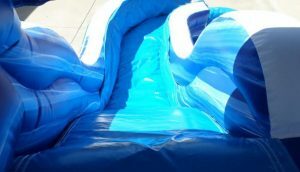 One more thing that needs prompt attention is the presence of an attendant while inflatables are in use. 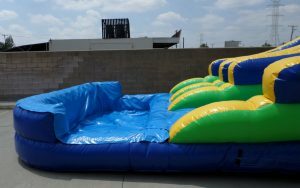 Adults can be preoccupied during parties but someone always needs to make sure kids are being watched and monitored at all times. 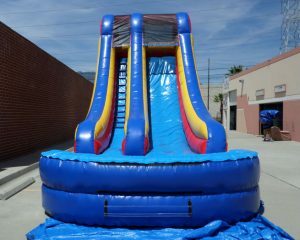 Adult supervision will decrease the chances of accidents and injuries. 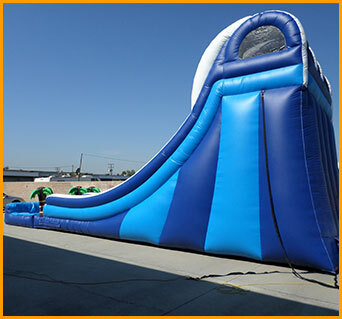 It is also very important for the attendant to be trained and attentive the entire time. 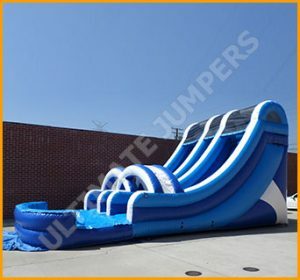 While on the subject of safety, we should also mention that it is very important to follow all set up instructions properly. 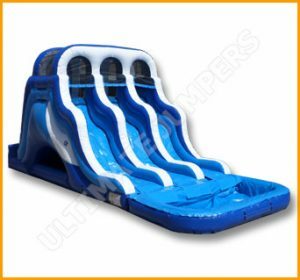 Instructions should be taken seriously and followed through in their entirety. 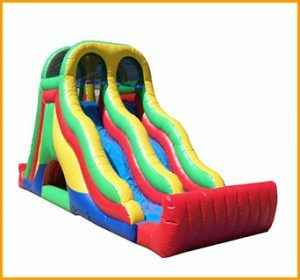 All tie down procedures are very important and should be taken to the heart, since the safety of the children depends on that.